Happy holidays! It's officially that time of year. We've done away with the last of the Thanksgiving leftovers, and our Christmas shopping has begun in earnest. And in order to survive that, we need Christmas music. Now, I make no apologies for this: I post virtually the same holiday playlist every year. 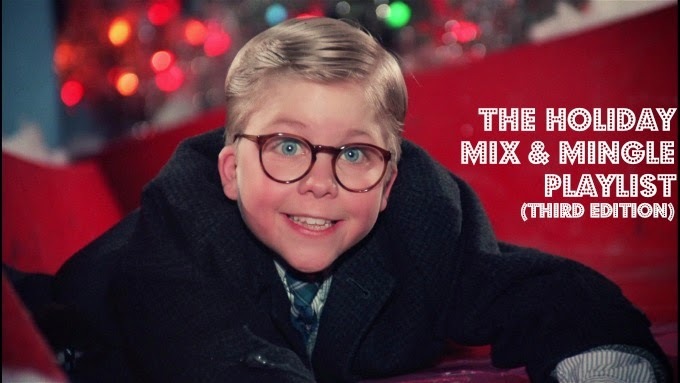 It's called The Holiday Mix & Mingle and (not to jingle my own bells, but...) it's really good. I combine new favorites and old classics, and this year I even updated it with a few new-ish Christmas songs from The Barr Brothers and Fitz & The Tantrums. This is a perfect playlist for parties, tree-decorating and spiked cider-drinking—just crank it up and see how many verses of "Cool Yule" you remember and who can out-screech each other trying to hit every note of "All I Want For Christmas Is You." Also, if you're wondering why I haven't moved this playlist over to Spotify yet, I have but one simple answer for you: Spotify does not have the original title song from National Lampoon's Christmas Vacation, nor does it have Robert Downey Jr.'s exquisite cover of Joni Mitchell's classic, "River." (Remember that one from A Very Ally Christmas?) Those were two songs I could not compromise on, so here we are, with my old pal Grooveshark.